This past weekend the Hudson Berkshire was able to visit Vic Roman's Hudson Division. Vic has created a beautiful work of art with trains running through it. He wants more operation action. He wants a longer mainline. He wants easier access to staging tracks. He wants a larger and bigger layout so he has done what some of us might dream about. He built a basement addition, with a house addition above. And in a few short weeks, he will be disassembling his current layout. Above is the beautiful Albany Union Station. Downtown Albany is the main focus of the layout. A trio of C420's drift down grade passing the Cement Plant at Howe's Cave, NY. Well they say in life, "Timing is everything” so when I got a call last July from my friend and Master Model Railroad Technician Don Buesing asking "Hey Ken, did you still need help to build a railroad?”, I scrambled to my calendar to see how we could create a plan of action. 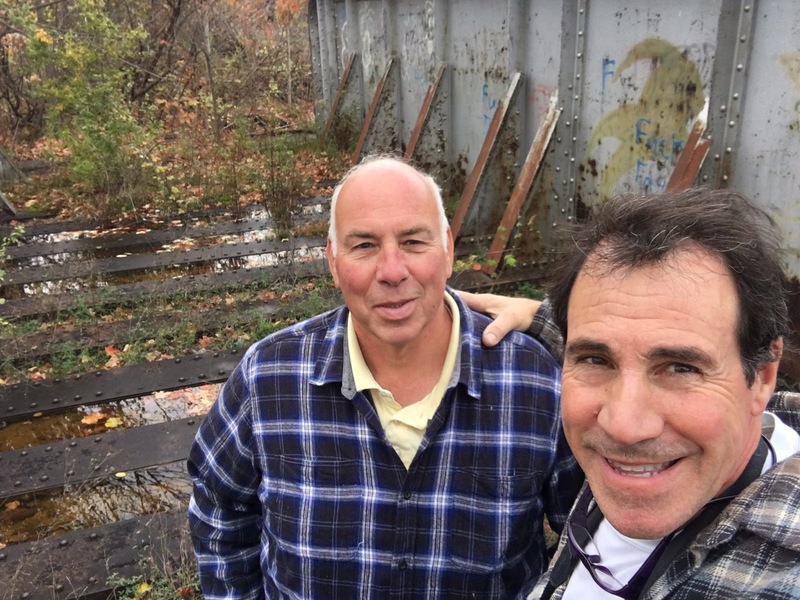 Don and I began work on my "Piece of the Bridge” on July 26 2016, with Don making the weekly three hour trip down from Saratoga Springs to my home in Rockland County. Working ten hours per day, both Tuesday and Wednesday each week (with the exception of a few snow days and a holiday of two) the last weekend of February saw us completing session #20, with Don installing the last of the thirteen Tortoises and I keeping the scenery progressing steadily from Central Bridge through Howe's Cave and over toward Cobleskill. The railroad is a mostly proto freelanced, point to point shelf layout, focused on the area of upstate NY. between Worcester and Central Bridge NY. during 1978-1981 with trains traveling from the main upstairs bedroom to and from a nine track staging yard in an adjacent room. 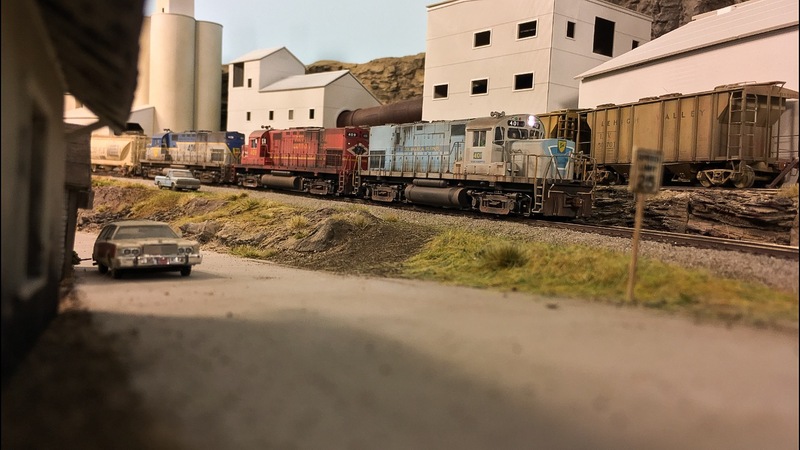 The DCC layout was designed for operation, offering lots of switching possibilities along the mainline and the Battenkill inspired interchange yard and branch, which runs to the yet to be configured “Cherry Valley yard". We feel very fortunate, in that we share a similar work ethic, passion and attention to detail, which has proven to be paramount in all phases of the layout’s construction and development. Our work and brainstorming sessions always end with high fives and while we're both very happy with the progress we've made over the past seven months, it's inspiring to realize how much will still need to be done and no doubt redone, as time passes. Looking back over the past seven months, I realize that what started out as an idea to build "my piece" of the bridge, actually has turned out to be “Our Piece of the Bridge” and a truly collaborative effort combining the skills and talents of two very inspired model railroaders, intent on getting and keeping the trains and a great friendship, moving in the right direction. Track detail at Schoharie Jct. Interchange. A pair of Alco's work the "Mill Job" making their final moves at Schoharie Jct. before heading to the Agway at Central Bridge. Southbound RPPY blows through Central Bridge with RS11 5002 throttling up past the Agway for the assault on Howe's Cave Hill. An overall view of my spare bedroom layout!